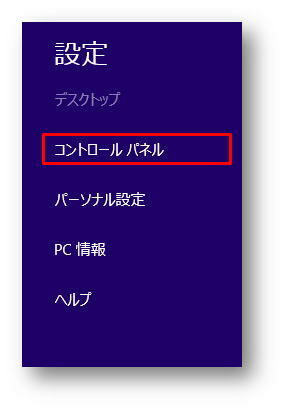 【Windows8.1】How to connect Bluetooth devices. 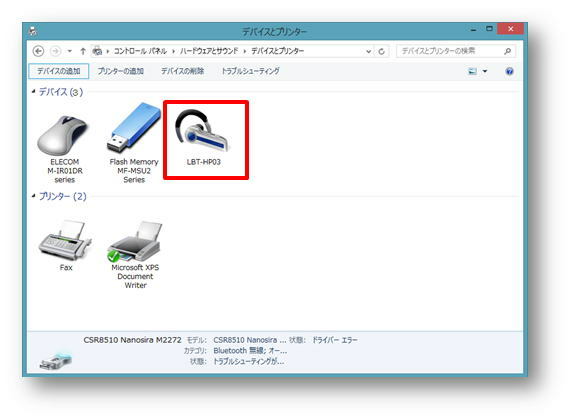 Q．【Windows8.1】How to connect Bluetooth devices. How to connect Bluetooth devices. To connect your mouse to your computer, follow the 3 steps below. Put the Bluetooth mouse into pairing mode. Look at the manual. Mode and pair by Bluetooth hardware. This content is just written how to setup PC to connect Bluetooth accessories. you need to put your Bluetooth accessories into pairing mode. 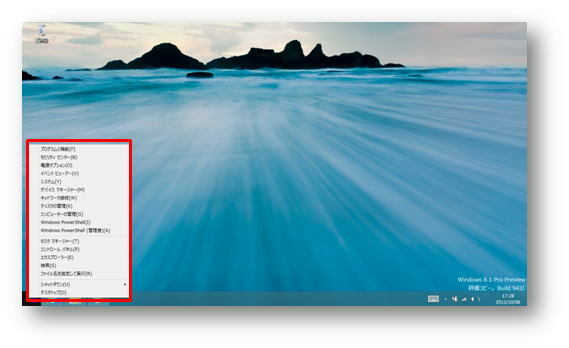 Addition, Check if your Bluetooth accessories correspond to your PC from these links below. To check how to put into your Bluetooth accessories into pairing mode, look these links. 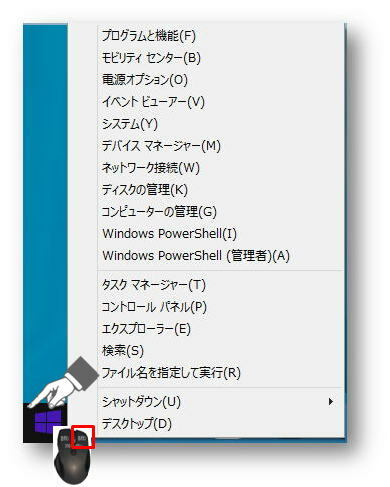 →　To connect Elecom Bluetooth keyboards,click here. →　To connect Elecom Bluetooth headphones,click here. 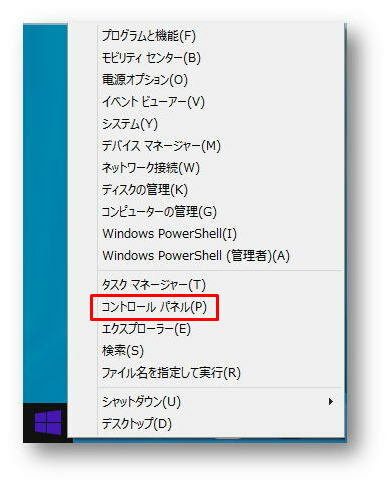 Ex) How to put M-BT11BB series into pairing mode. While M-BT11BB series are pairing mode, pairing lamp flash quickly. Please confirm if your computer is Bluetooth-enabled device and it is active or not. 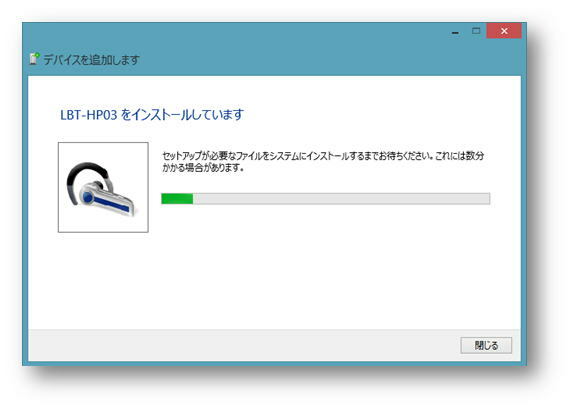 →　【Windows8.1】I want to use Bluetooth. 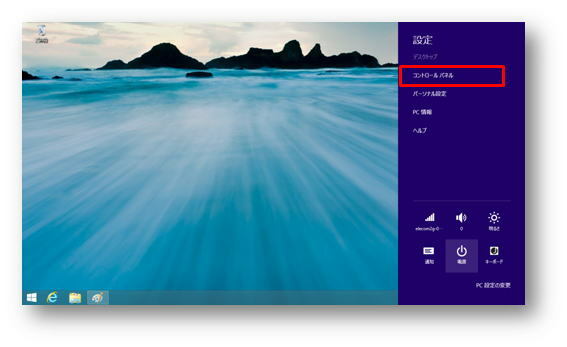 【Modern UI】　【desktop screen 】How to connect. 【desktop screen 】 How to connect. 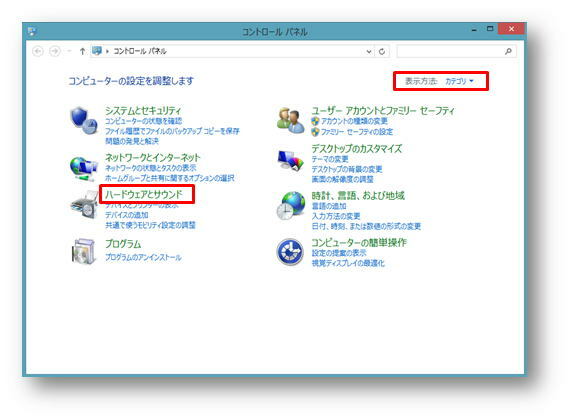 ・Pattern 2　Tapping screen or using mouse : open charm. Please confirm your Bluetooth of PC is active. These settings are same Modern UI and desktop screen. 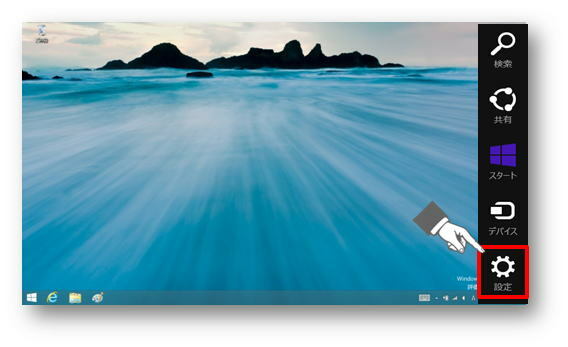 To change Modern UI and desktop screen press Windows key or click this Link. Press "Windows Key" and" X key" at the same time. Or right click “start button”. When you don’t have a mouse, follow the instruction below. 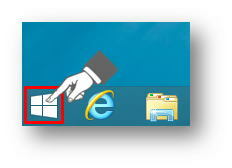 Hold start button and detouch, it is same affection as right click. The screen will be appeared. ※if you can’t find it change the view to "categoly". Select “view devices and printers”. Put your Bluetooth accessories into pairing mode. →　To connect Elecom keyboards, click here. 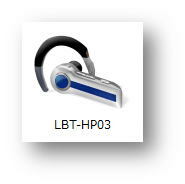 →　To connect Elecom Bluetooth headphone, click here. please check your manual of the mouse. Click “Add a device” at upper left of the screen. Check these links and confirm if settings of your Bluetooth hardware and the accessories are correct. Check your device will be appeared. When connect to Keyboard PIN code will be appeared, press the number, then press enter key. you may have to enter a PIN code to pair the device. If you need a PIN code, enter “0000”. If it is not confirm the manual. PIN code will not be appeared. If PIN code screen was appeared, ask PC support centre or manufacture of Bluetooth adapter. 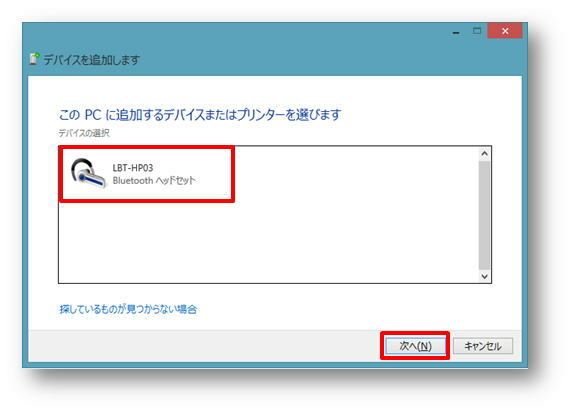 →　How to connect a Bluetooth mouse. Install screen may be appeared. check the these things below. If you are using keyboard, you missed pass key or time out. If you are using mouse, other devices may affecting your mouse. 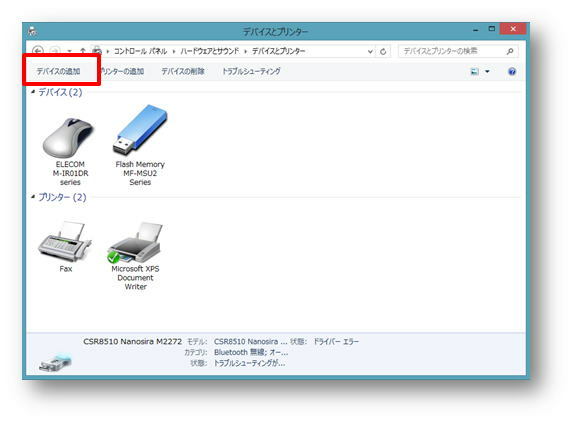 ※Other devices are such as SD card, USB memory, HDD and printer etc. When you can’t connect, unplug other devices from your PC and try it again. When your Bluetooth accessories were appeared at “device and printer”, it was successful. 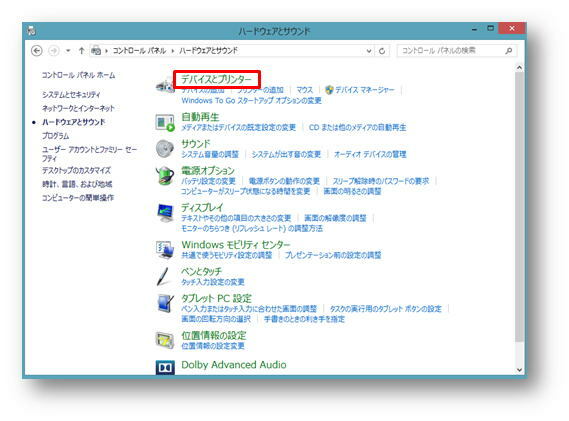 ・This instruction is the way from desktop screen. 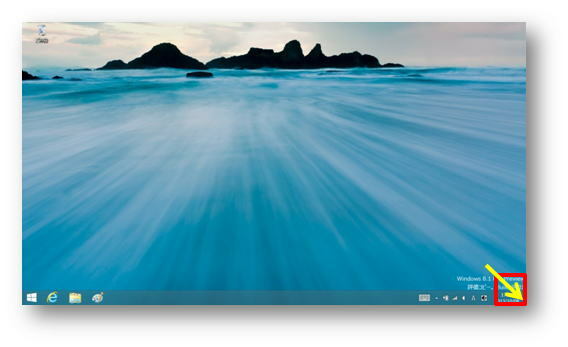 ・To change Modern UI and desktop screen press Windows key or click this Link. Move mouse cursor to bottom right. ※When you don’t have a mouse, follow the settings below. For touchscreens, swipe inward from the right edge of the screen. Tap “settings” from charm bar. Select “hardware and sounds” from control panels. You will see list of accessories that you can connect. If you are using a Elecom mouse please check your manual of the mouse. Click “add a device” at upper left.